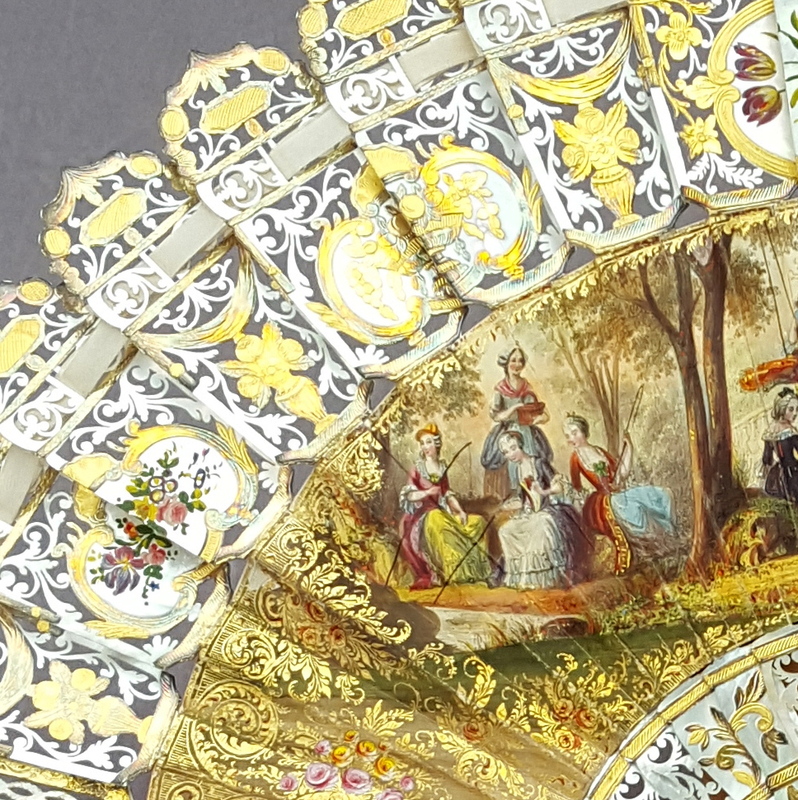 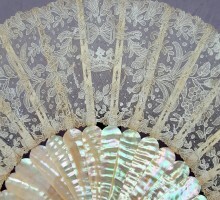 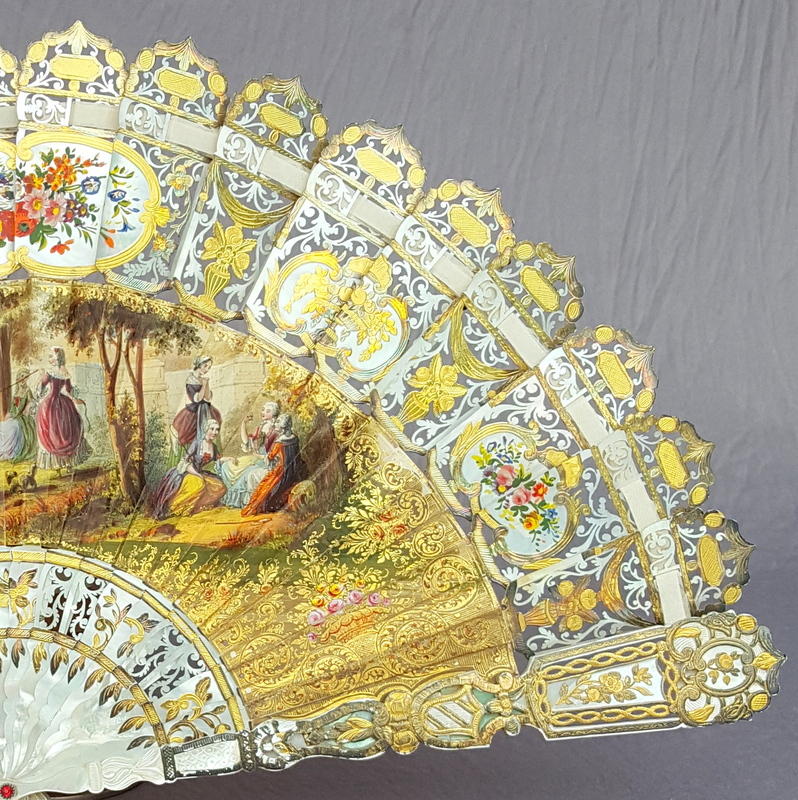 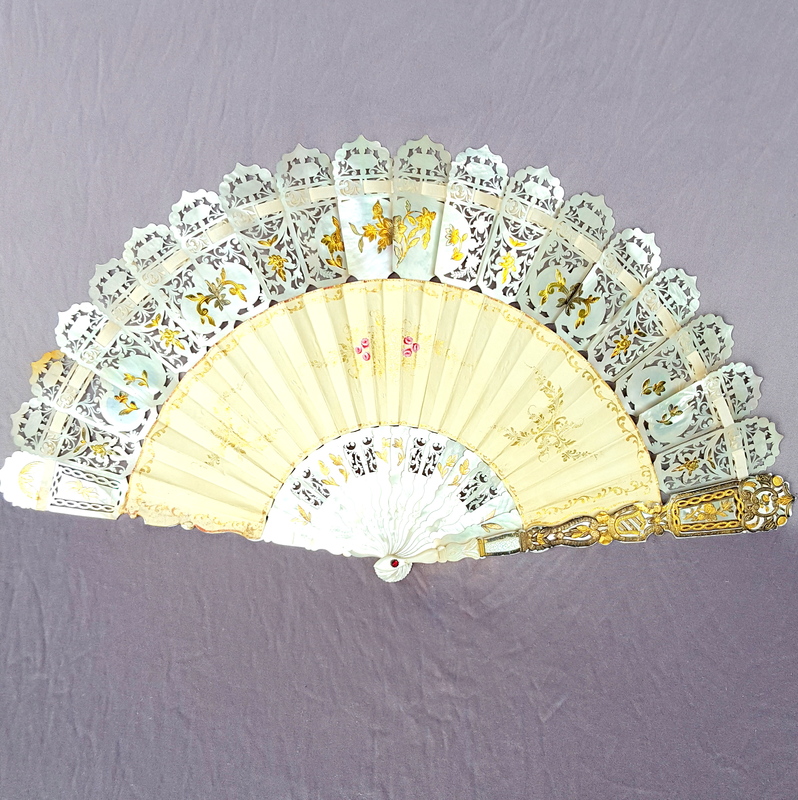 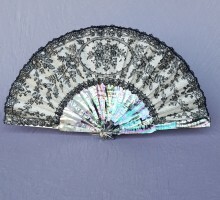 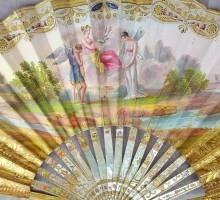 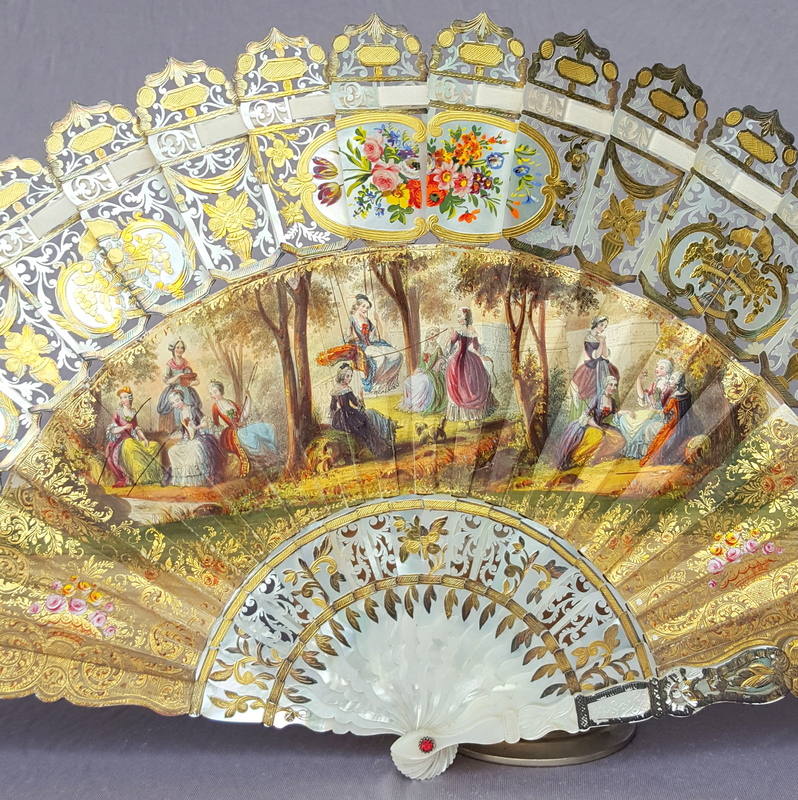 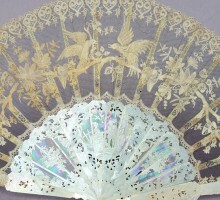 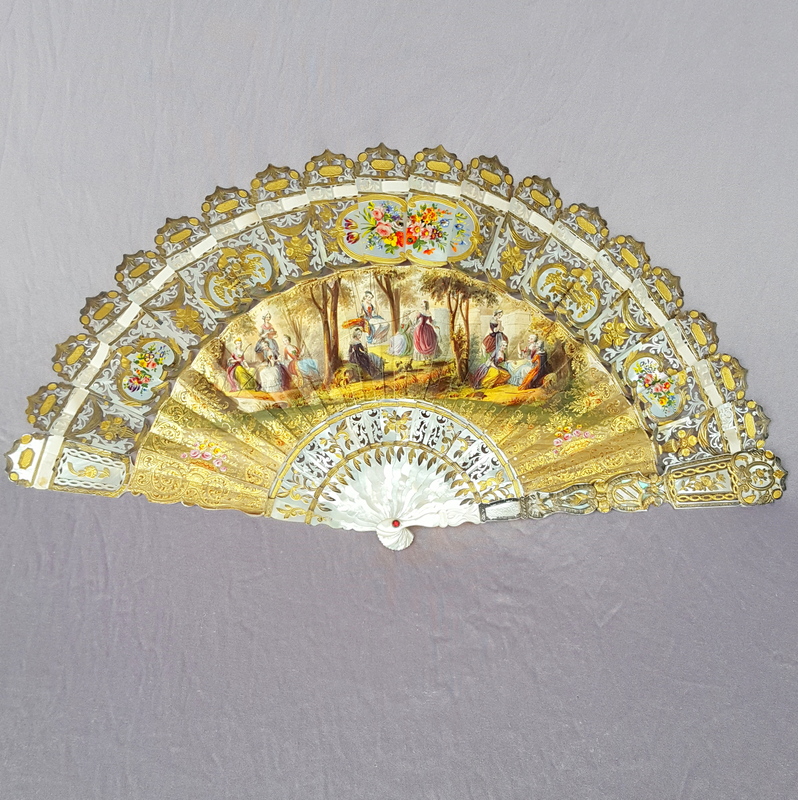 19 ThC fan. 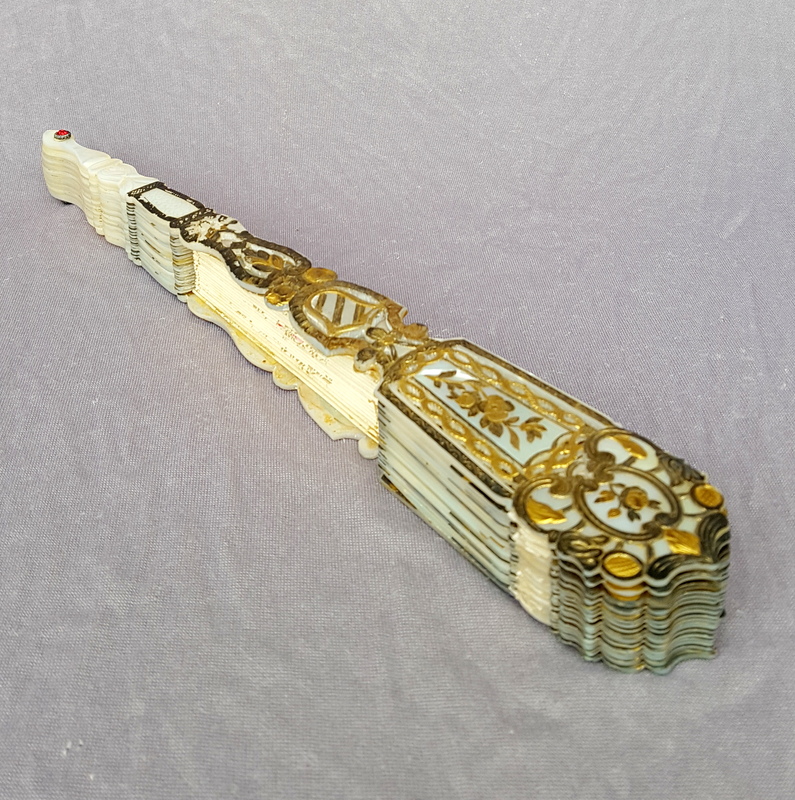 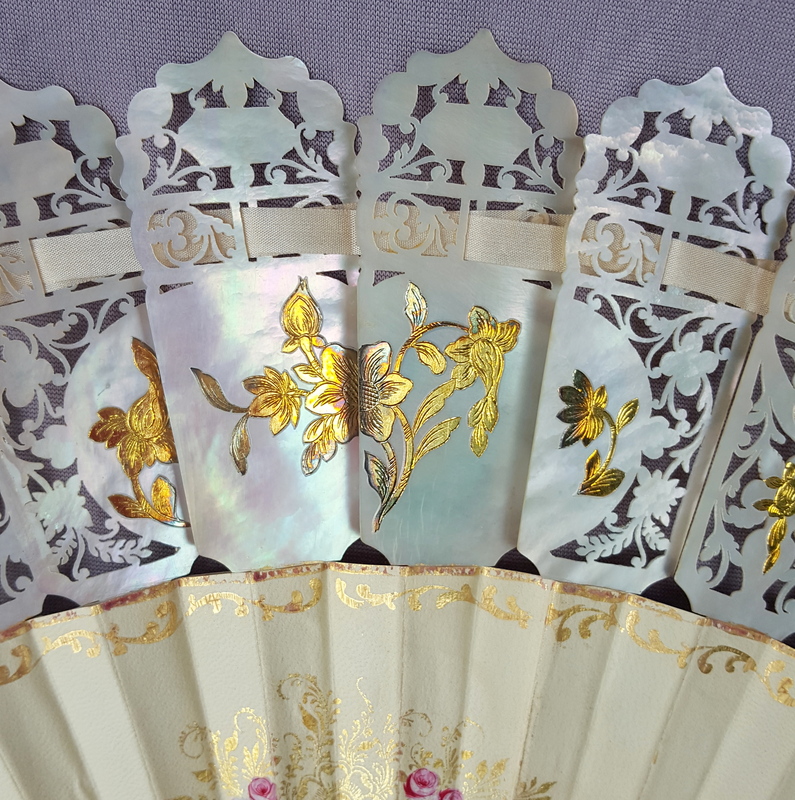 Exceptional mother of pearl sticks engraved, reperce, golden, silver, and painted. 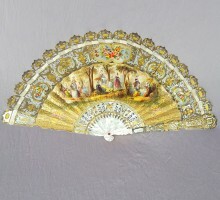 On the upper part of it, three painted parts decorated with flowers, and many gold and silver decor of flowers or flower baskets. 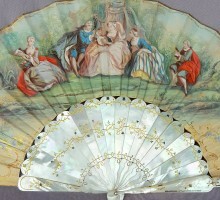 The leaf is paper lined with skin, lithographed and enhanced with gouache. 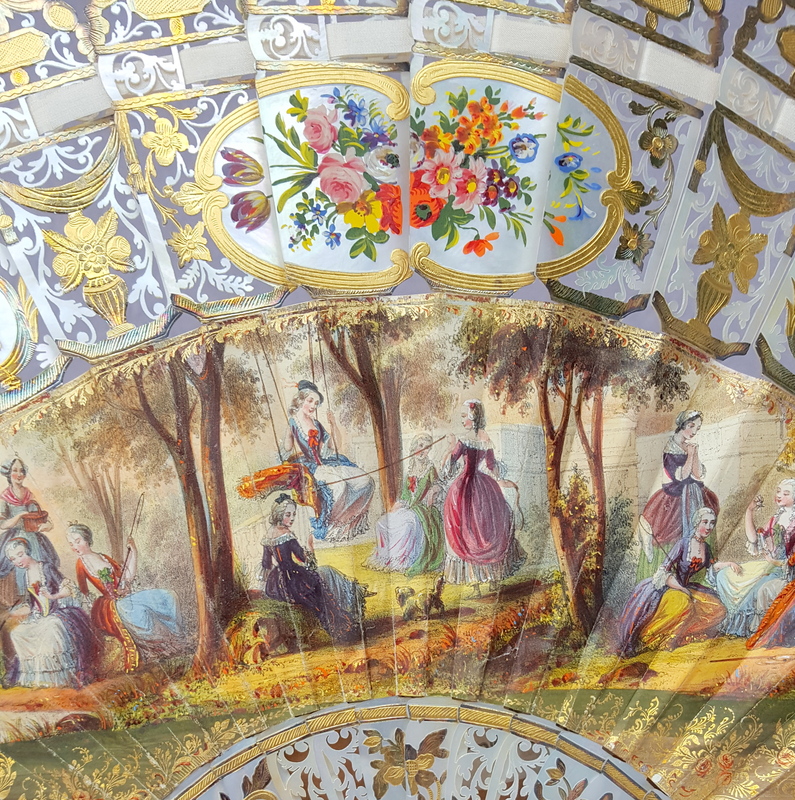 On the leaf, Groups of women in a park, some angling, others around a swing, others the butterfly net in hand or in full discussion. The fan measures 10,62″ closed, and 19,88″ in open diameter, it is in perfect condition.